Kingman Historic Theatre: Star Trek Into Darkness is showing this weekend at the Kingman Historic Theatre! 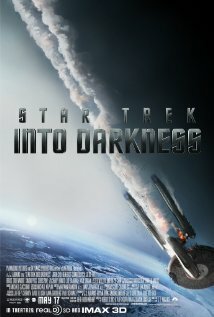 Star Trek Into Darkness is showing this weekend at the Kingman Historic Theatre! This weekend the Kingman Historic Theatre will be showing Iron Man 3 at 7:30 P.M. on Friday, May 31 and Saturday, June 1 and at 5:00 P.M. on Sunday, June 2. This movie is rated PG-13 and stars Chris Pine, Zachary Quinto, and Zoe Saldana. Check out Star Trek Into Darkness trailer.